Welcome to Allied-Gaming! Feel free to check out our servers below. We look forward to seeing you in-game! All of our servers are a blast and unique in their own way. Give them a shot and you'll find your place just like the rest of us! Whenever you have the time, feel free to register on our forums and introduce yourself to the community! Every new member can bring something new to the community to make it even greater! We love seeing new people join the community and become apart of the family. 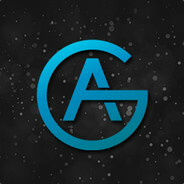 Register today and become an Allied-Gamer!